Many are familiar with the tale of The Boy Who Cried, Wolf! But there is a lesser-known tale in a nearby village that carries some eerie similarities, but one noted difference. You see, in The Boy Who Cried, Wolf, the villagers actually listened to and believed the boy’s cries! While this is certainly a possibility, it is not what happened in this tale. Shelby Sitback was a young shepherdess in the village of Faraway, ahem, well, they named the village that because it was far away from everyone else. Actually, it was the surrounding villages that named it. The villagers of Faraway just kind of accepted the name. While Shelby was young, she was quite skilled. She was chosen because of her skills with a staff and her unique care for the animals she watched. This job was different though. The main source of income was from their production of wool and she had never been in charge of a flock before. The loss of one sheep could expose a weakness to prowlers, like wolves, but even more importantly, thieves who camped in nearby caves. Shelby had astutely managed chickens and goats before but she felt anxious about this new position. “It’ll be fine. You’ll be fine,” many villagers told her. Shelby made her way to the pasture and began to walk among the sheep. This pasture was large but the sheep mostly stayed close together. She could see most of the pasture except the area that was closest to the caves. There were a few sheep over there so she walked over to have a look. She noticed there was a small break in the fence. It wasn’t large enough for a sheep to get through but it looked like it was cut. She quickly mended the fence as best she could, counted the sheep, and then ran into the village. “The fence has been cut!” She told several villagers. “That happens from time to time. Just fix it the best you can,” they replied. After a few days without incident, she noticed that another place on the fence was missing a rail. She looked all over for it but couldn’t find it. She noticed footsteps leading back toward the caves. She counted the sheep and there was one missing! She found an extra rail with her supplies and replaced it and immediately went to the village again. “There was a rail missing and I saw footsteps going back toward the caves. One of the sheep is gone too. I think the thieves are trying to coax out the sheep. Shouldn’t someone go talk to them?” She pleaded. “That sheep is probably just grazing down by the creek. You better go grab it before the thieves realize it’s out,” they dismissively replied. “But the thieves are letting it out! That’s the problem! Why aren’t you listening to me? !” She cried. Shelby went looking for the lost sheep and found nothing. She searched for hours. “Maybe they’re right,” she thought. “Maybe it’s just a coincidence and I’m just being worried for nothing.” She came back to the pasture and went into her cabin to sleep. While she slept, the thieves came out and removed the rails from a section of fencing. They lured two sheep through the opening, replaced the fence rails, and guided them back toward the caves. Shelby woke up and went to look at the flock to find two sheep missing. “That’s three sheep now I’ve lost! This job is impossible!” This is the day to bring the sheep to the shearers to collect their wool. She gathered them toward the entrance where a few villagers awaited. “You’re missing three sheep Shelby. What happened?” One villager asked. “I’ve been trying to tell people that the thieves are opening the fences and letting the sheep out,” she indignantly pointed out. She walked into the village to get more supplies with a sad look on her face. “What’s wrong Shelby?” The villagers would ask. The villagers were visibly angry. Shelby’s head hung low. She didn’t know what to say. 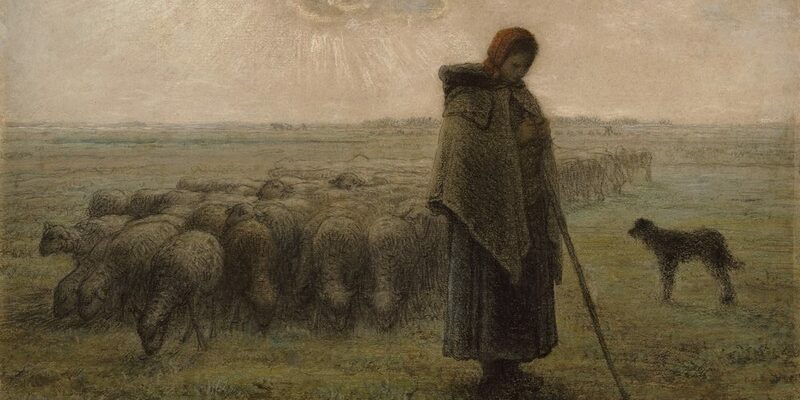 She waited until the villagers left and then walked away on her own. She was greeted by an elderly man near the caves.